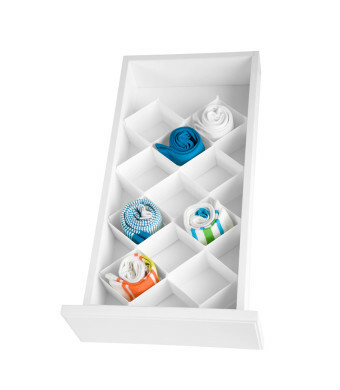 Honey-Can-Do SFT-01625 32-Compartment Drawer Organizer, White. Easily organize socks, hosiery, accessories, or supplies in this 32-compartment drawer organizer. The super smooth construction ensures snag-free storage for delicates. Can fit nicely in any size drawer by simply clipping off excess sections, or use the entire unit for larger drawers. A great accessory for custom closet systems and dresser drawers. 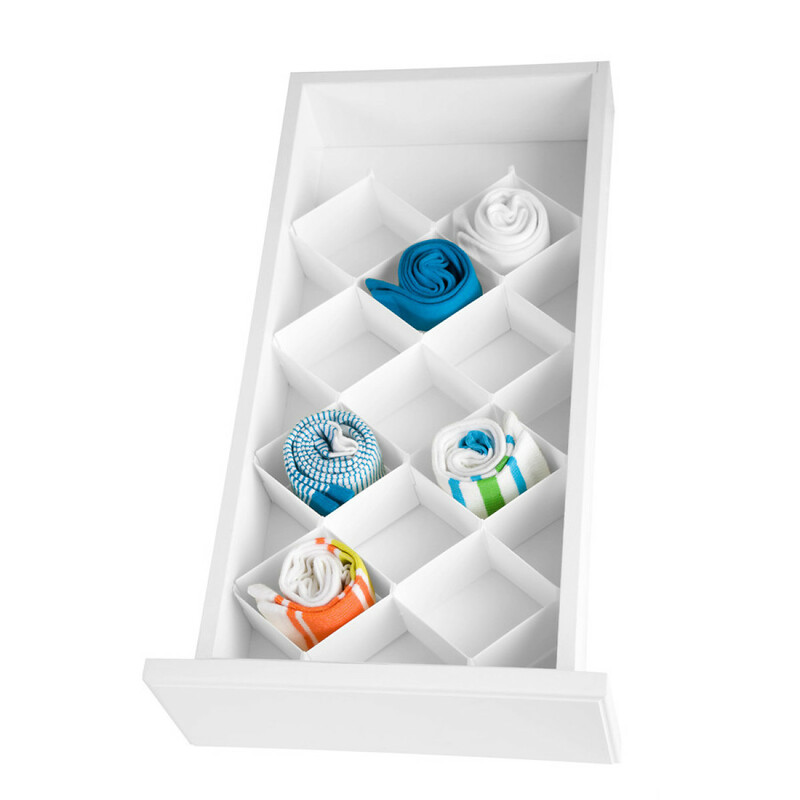 Keeps items organized and easily accessible.